Following on from our beautiful classic yacht Kelpie last week, we’re very excited to bring you a TS5 Performance Catamaran that will be available to charter from January 2020. Blackjack will be in the Caribbean ’til May 2020 and available for all the usual regattas in the Caribbean, including the RORC Caribbean 600 in February. 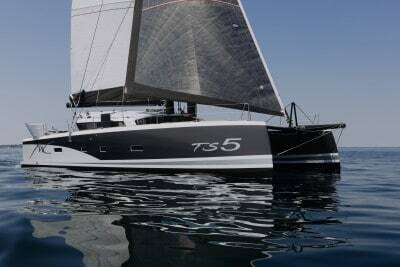 She will then head north to Quebec for the TransAtlantic race to St Malo in July. 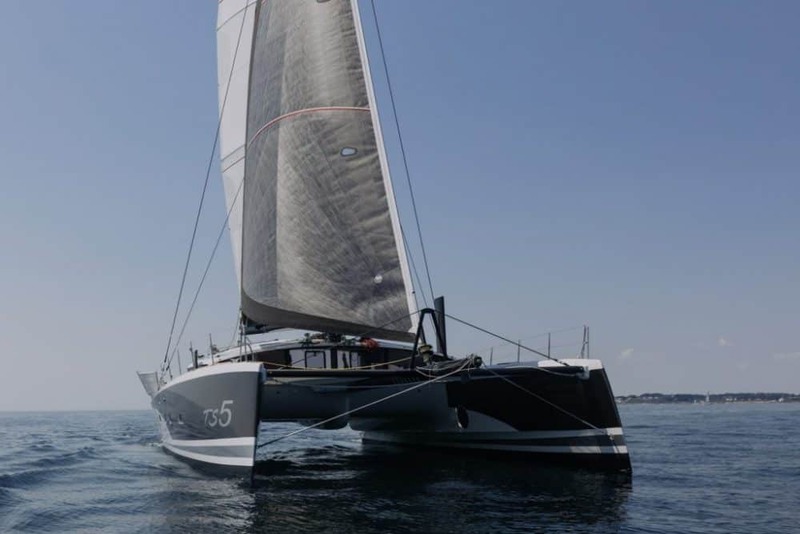 Designed by professional sailors, the TS5 Blackjack is a 52’ performance catamaran, offering an incredible racing experience, whilst not compromising comfort. Blackjack will be one of the highest performing boats in her class, and should be both faster and lighter than both Gunboat and HH catamarans, weighing just 8 tonnes. She has a rotating mast, fully carbon cross structure & fins and NKE instrumentation. Currently in build in L’Orient we will keep you updated on the progress over the coming months. 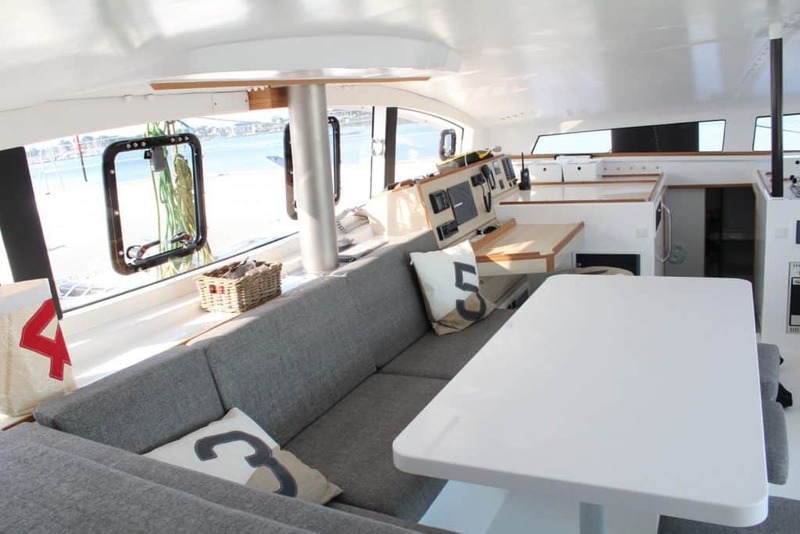 LV Yachting are excited to make this boat available to charter, if you would like more information or to reserve Blackjack for a regatta please get in touch!